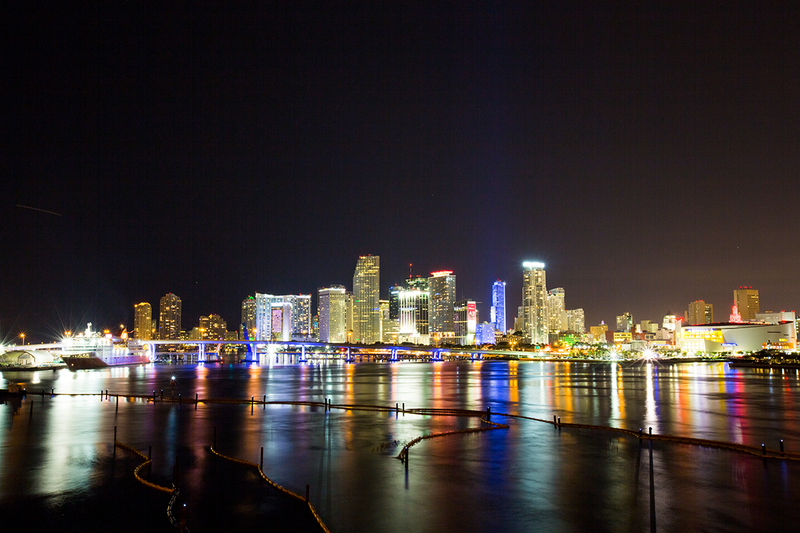 From the urban art covering the walls of Wynwood to the pastel streets in Miami Beach’s Art Deco District, Miami is full of culture, art, music and ethnic cuisine. With so much offer, it leaves us with endless places to explore. Best of UMiami, The Miami Hurricane’s guide to the city’s best offerings on and off campus, is here to help you navigate the city’s liveliness. Organic vegetables, exotic fruit and raw vegan foods take over Glaser Organic Farms every Saturday at the Coconut Grove Farmers’ Market, where vendor tents are placed throughout the farm to display all of their offerings to eager market shoppers. In addition to fresh produce available for purchase, the market, which is held from 10 a.m. to 7 p.m., features prepared dishes like pizza and salads made with farm-fresh ingredients. For those with a sweet tooth, there’s always indulgent desserts to take home. 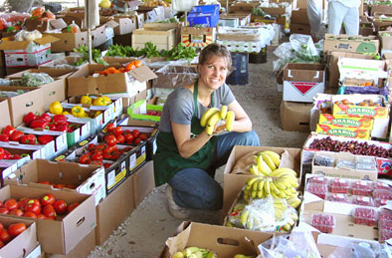 Coconut Grove Farmers’ Market is located at 3300 Grand Ave. in Coconut Grove. “Good drinks and good music” can describe just about any local bar, but Brickell’s Blackbird Ordinary takes that statement to another level. 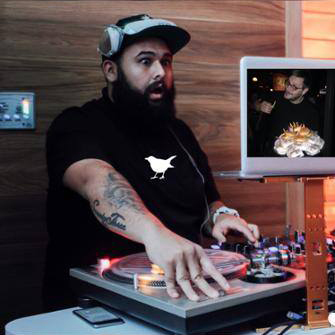 Featuring different live musical acts every day of the week and a variety of cocktail specials, Blackbird has become the go-to for UM students trying to escape the hectic South Beach bar scene on a Friday or Saturday night. Blackbird Ordinary has also become a popular choice for the ladies every Tuesday night, offering free select cocktails from 10 p.m. to 1:30 a.m. To experience the original Blackbird cocktail or to hang out with a crowd of live-music lovers, check out the Brickell sensation. Blackbird Ordinary is located at 729 S.W. First Ave. in Miami. 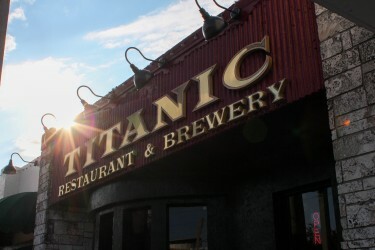 Titanic Restaurant & Brewery is located at 5813 Ponce De Leon Blvd. in Coral Gables. Who doesn’t love a good laugh? 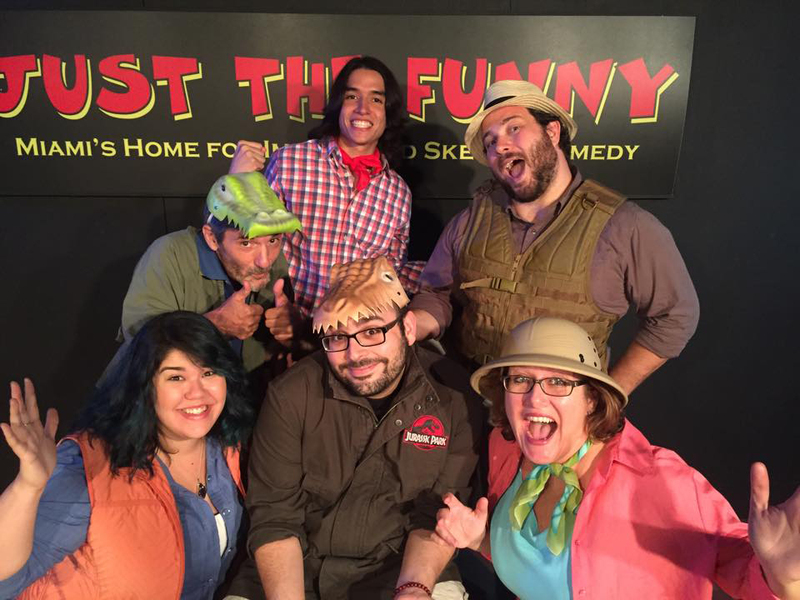 Just The Funny Theater has you covered with performances at 9 p.m. every Friday and Saturday. The improvised shows are all based on audience suggestions, so no performance is ever the same. The intimate venue is also home to one of South Florida’s few improv training centers, offering customers the opportunity to take their skills from the seats to the stage. From sketch writing classes to improv workshops, Just The Funny can help you develop your inner comedian. Whether you want to cry from laughter or become a master of comedy, this spot can become your entertainment destination. Just The Funny is located at 3119 Coral Way in Miami. 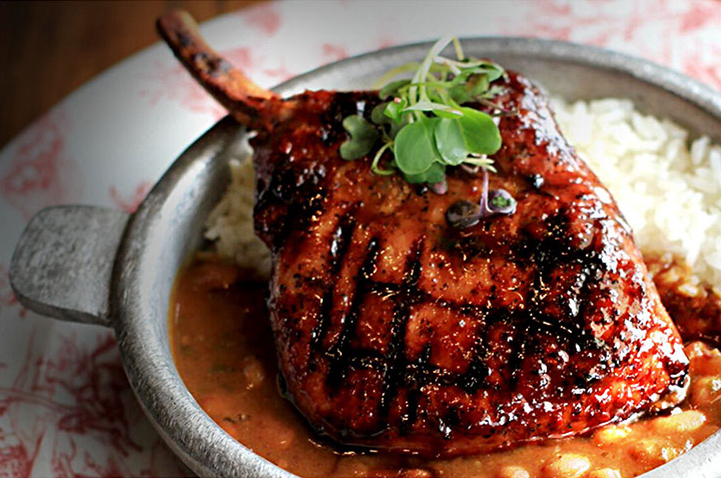 The Cuban restaurant with a Peruvian and Korean fusion known as Finka Table & Tap is a gastropub that blends a variety of ethnic flavors to offer something for everyone. Its Cuban fried rice and Korean arroz imperial are always pleasers, along with other distinct dishes like kimchee shoestring fries, an appetizer that tops french fries with vaca frita (shredded steak), cheese, spicy mayo and pico de gallo. The menu’s pizza options are just as flavorful, offering toppings like chorizo, gochujang (a spicy red Korean sauce) and croquetas (Cuban fried rolls with meat or cheese stuffing). Finka Table & Tap is located at 14690 S.W. 26th St. in Miami. When you’re looking to get away and be surrounded by nature, Fairchild offers a great Coral Gables locale with plenty of natural exhibits, from a Tropical Flowering Tree Arboretum to a Tropical Fruit Pavilion, a Rare Plant House and the Conservatory. For an even quieter relaxation spot, the overlook at Fairchild is home to a tranquil lake and garden path. The colorful gardens also host a variety of events like the Mango Festival, Chocolate Festival, Orchid Festival and concerts from Frost School of Music student ensembles every Sunday beginning in October. 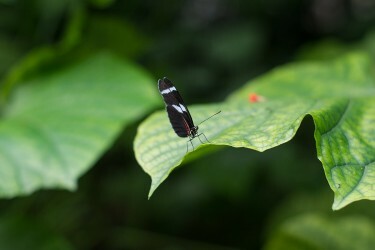 Fairchild Tropical Botanic Garden is located at 10901 Old Cutler Road in Coral Gables. 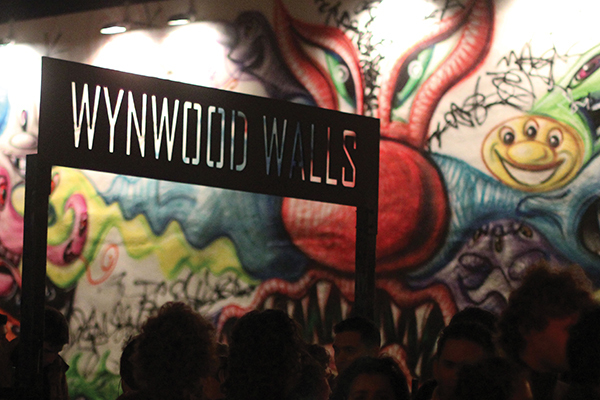 Wynwood, best known for its street art walls and neighborhood Art Walk tours, is a haven for any art lover. It’s also a great place to grab a bite, do a bit of shopping and dance the night away. The neighborhood offers a selection of galleries to browse like GAB and Etra Fine Art. Retail therapy spots such as Frangipani, Moooi and Wynwood Letterpress offer goodies that are uniquely Wynwood, from art prints to home decor and custom stationary. Have brunch at Cuban-fusion restaurant Mmmm or The Lunchbox, or dinner with hip-hop and tacos at Wood Tavern. Even the most ambitious travelers will have to come back – this neighborhood has too many fun and eclectic spots for just one trip. Looking for a spot to take in some great views of Miami? Watson Island Park, located on Watson Island just after the first bridge of the MacArthur Causeway, offers one of the best views of the city’s skyline. Stop by at dusk to watch the sunset or at night to gaze at the city lights. Take the stairway up to the MacArthur’s pedestrian sidewalk for the best vantage point. 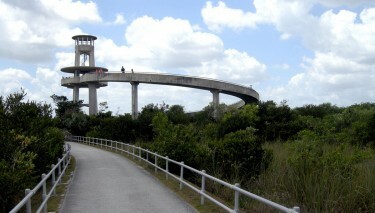 Also located on Watson Island are the Miami Children’s Museum and Jungle Island. Watson Island Park is located at 1050 MacArthur Causeway in Miami. 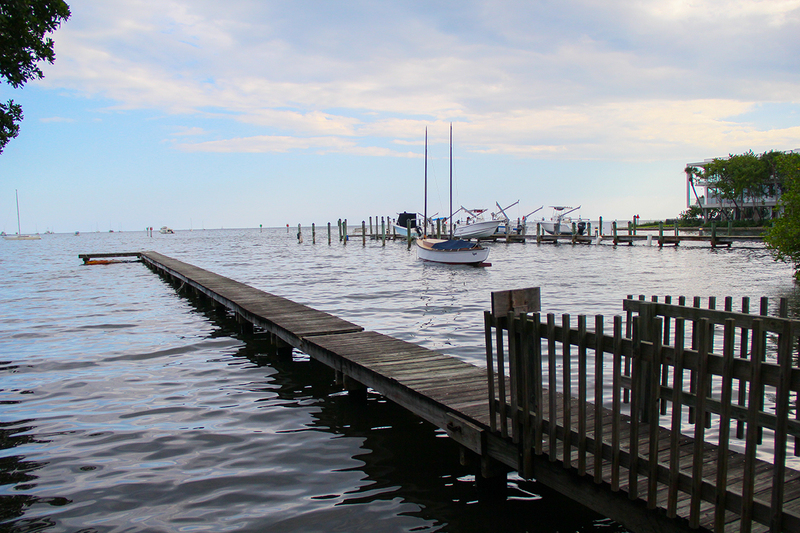 Shark Valley is full of opportunities to explore your wild side and find your inner peace. You can go on a never-ending bike ride or paddle right alongside soft-shelled turtles and oh-so-horrible gators. The green trees, colorful sunsets and beautiful sounds are definitely Instagram or Snapchat-worthy, but if you really want the full experience, leave your electronics in the car and become one with nature. There’s no place like the Everglades. The Barnacle Historic State Park may not be as well known as the hotspot GreenStreet Cafe, located directly across the street, but its historic significance, beautiful grounds and views of Biscayne Bay are worth a visit before spending a night in the Grove. The park’s namesake, the Barnacle, is the past home of a Coconut Grove pioneer built in 1891 that offers a glimpse into the region’s origins. The park is open daily from 9 a.m. to 5 p.m., excluding Tuesdays, and admission is $2 for those over five years old. Tours of the home occur throughout the day and are subject to an additional fee. Check out the park’s website for upcoming special events. 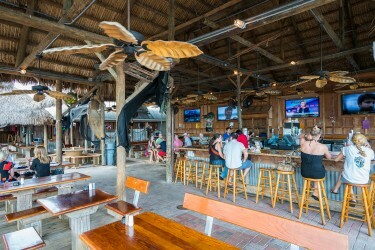 The Barnacle is located at 3845 Main Highway in Miami. 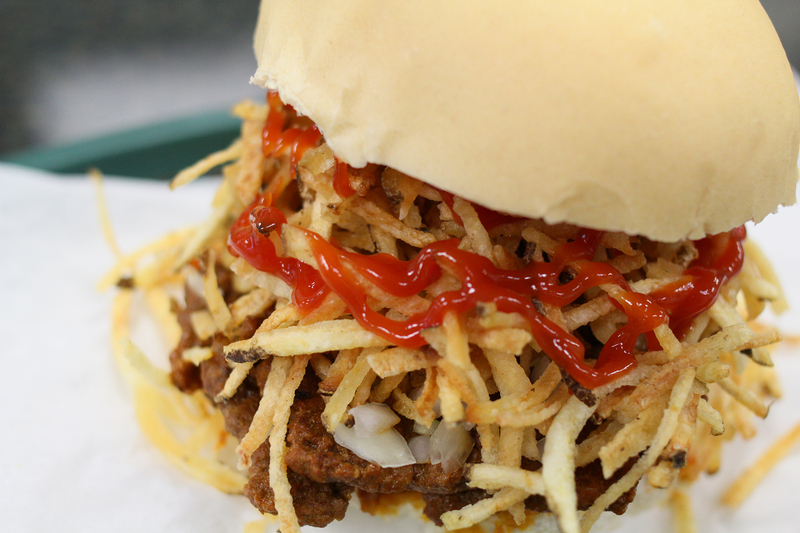 When you’re craving a burger and milkshake, El Mago De Las Fritas can introduce you to a twist on the classic: the restaurant’s one-of-a-kind Cuban burgers, called fritas. The patties are topped with onions and crunchy papitas (thin potato stick chips) on a toasted Cuban-bread bun. The menu’s Frita a Caballo even packs the burger with the additional topping of a fried egg. In addition to the burgers its known for, El Mago also offers perros, their take on hot dogs, which are also topped with crunchy papitas, and fruit batidos, the restaurant’s selection of shakes. In addition, its Cuban staples like guava pastelitos, flan and empanadas never disappoint. El Mago De Las Fritas is located at 5828 S.W. Eighth St. in West Miami. Located on Miracle Mile, Maroosh offers a Middle Eastern and Mediterranean menu complete with hummus, grape leaves, baba ghannouj and falafel appetizers alongside dishes of kababs, gyros and curry platters. The ambiance of this elegant-yet-cozy restaurant combined with its delicious dishes make it a great dinner date spot or a nice lunch outing. If you’re celebrating a special occasion, you can have belly dancing requested for your party. 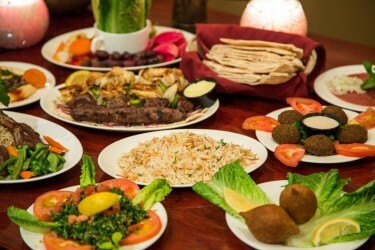 Maroosh is located at 223 Valencia Ave. in Coral Gables. Most college students can’t memorize the periodic table, but when it comes to Chill-N’s scientific creations, every equation becomes deliciously memorable. Established in 2012 by UM alum Chuck Woodward and his partner, Daniel Golick, Chill-N soon redefined ice cream for South Floridians. The best part? Customers get to choose their own base, flavors and mix-ins and see their own finger-licking creations come to life after a blast of liquid nitrogen flash freezes the sweet treat. The final result is a beautiful bowl of ice cream made especially rich and creamy from the nitrogen flash freeze, which makes the ice crystals smaller. 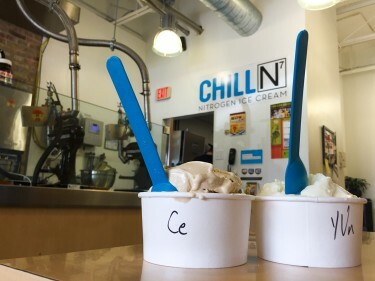 Now with three locations in South Florida – Pinecrest, Aventura and Fort Lauderdale – there is no excuse not to try the Chill-N experience. Chill-N is located at 8271 S.W. 124th St. in Miami. If you are looking to splurge on a date or just want to indulge in a culinary experience with friends, consider a dinner at Zuma. Located in the heart of Downtown Miami, this modern Japanese restaurant offers patrons sophistically crafted cuisine in a modern and playful environment. Order the chicken teriyaki for a delicious spin on the classic dish, or the dynamite spider roll for a plate that’s worth an Instagram post. Make reservations well in advance for weekend nights, and make sure to go after payday, as a quality night at Zuma does not come cheap. 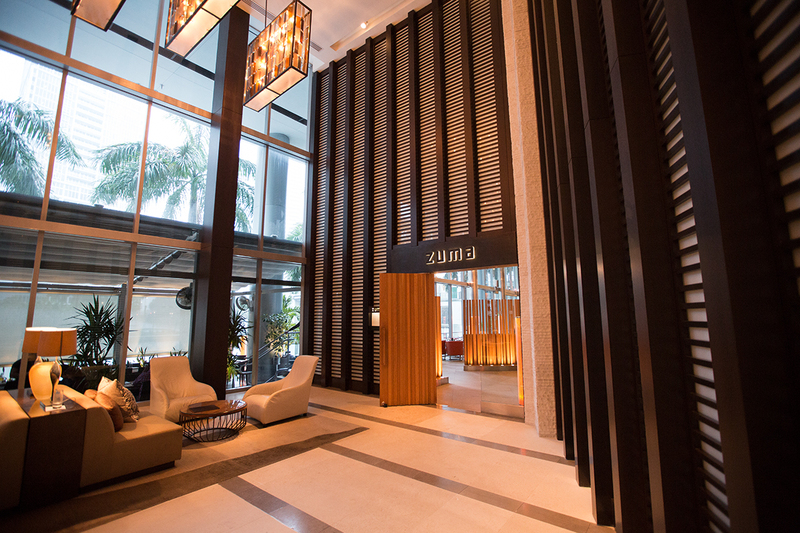 Zuma is located at 270 Biscayne Blvd. Way in Miami. This happy hour classic can get a bit overcrowded on Friday afternoons, but students and locals alike flock to the waterfront restaurant for good reason. The scenic views and outdoor seating make Monty’s feel like a tropical escape that’s much-needed by the time the weekend rolls around. You’ll come for the atmosphere, but stay for the deals. Monday through Friday, from 4-8 p.m., all liquor is half off, wine by the glass is 30 percent off and craft beer is 20 percent off. If you’re feeling extra adventurous, go for their signature Pain Remover drink, which comes with your choice of one, two or even three shots. So sit back, sip and relax. Monty’s located is at 2550 S. Bayshore Drive in Miami. Themed parties, free food and dorm room decor to last a lifetime aren’t even the top reasons for why Canes After Dark (CAD) is simply the best. What makes CAD such a great part of campus life is everything that the monthly Friday night event at the Shalala Student Center offers. Everyone around you will be laughing as they watch their friends fail miserably at conquering the mechanical sharks or trying to escape from fellow Canes dressed as zombies in a haunted house at the Halloween night. The themed events are the perfect setting to get chocolate wasted, make some food babies and get high on life. 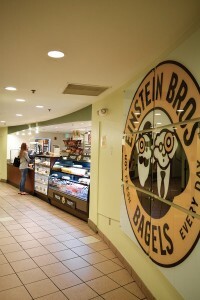 Right when the 12 o’clock hunger pangs set in, Einstein Bros. Bagels in the School of Law courtyard hits the spot. Located just a few steps behind the food court, Einstein’s toasted bagels provide cheap and tasty alternatives for lunch. A toasted bagel with schmear and a couple of vegetable toppings makes the perfect snack. Whether you’re a Tasty Turkey type of person or a Darn Good Coffee addict, Einstein’s sweet and savory aromas will welcome you as soon as you step in the door. The Moss Terrace stands above all other hangout spots on campus. 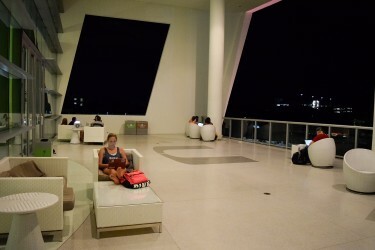 Located on the third floor of the Shalala Student Center, the Moss Terrace overlooks Lake Osceola and its scenic fountain. Located in the center of campus, the Moss Terrace is easily accessible to anyone meeting a group, plus the great view provides a charming ambience. A nice breeze keeps friends cool during the daytime, and the lights around the terrace and lake keeps them in awe. Whether you’re there to watch the sunrise or to study until the sun goes down, the terrace makes for a great spot to chill on campus. 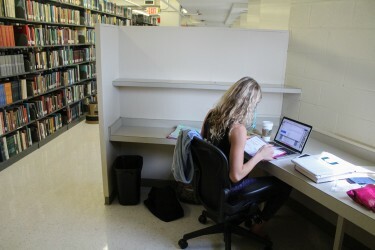 Affectionately known as “Club Richter,” the library is truly the place to be on a Friday night before finals. For students who need to be tutored or want to work on group projects, the first floor accommodates low-volume conversations. The second floor, on the other hand, offers a silent open floor plan with plenty of desk space to spread out all of your notes and textbooks. For a fully immersive focus, the private carrels in the stacks wall you in from any possible distractions. When the caffeine craving hits, Starbucks is conveniently located right downstairs. We know where the good ones are, where the bad ones are and which ones seriously should be avoided. Some are decent and some are less than so, but if you’re tired of long lines, dirty stalls, a lack of toilet paper and ghastly odors, look no further. The Shalala Student Center now has the best bathroom our campus can offer. 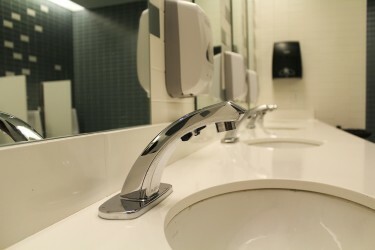 The spotless restrooms are not only impressively clean, but most of the time they are also empty, quiet and perfectly stocked, preventing the majority of awkward emergencies and tortuous experiences. In addition, they have huge handicapped spaces, designed to happily meet a wide variety of needs.